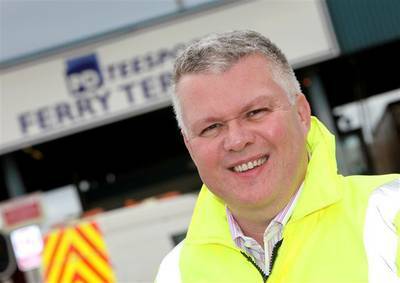 PD Ports has recently appointed Geoff Lippitt as Business Development Director. Geoff also joins the Company’s Executive Committee team, reporting to Chief Executive Officer, David Robinson. Geoff’s remit is to lead the commercial business development activities across the Company, which includes assuming responsibility for PD Ports’ commercial personnel reporting lines. In keeping with PD Ports’ core business strategy, this will allow for a more streamlined approach to the business’ customer relations activities and will enhance value for its stakeholders. The recent appointment of Geoff will create further opportunity to continuously reinvigorate the business’ commercial activities and seek new opportunities in existing and emerging markets. In the long term this will strengthen PD Ports’ business platform and drive sustainable growth across the Group. Originally from the West Midlands, Geoff is a widely experienced and highly successful senior manager with a background in operational and general management, as well as in business development. His experience includes senior appointments in the shipping and ports logistics sectors, and more recently with Kuehne & Nagel, from where he joins PD Ports from his current positions of President, Global Business Development. During his career, Geoff has also worked at ABP, BOC and a number of other major logistics businesses in senior roles.